It’s Christmas Eve and I’m standing in a darkened church a thousand miles from home, or at least the place I currently call home. I stand here in silence with a few hundred others, each of us holding a solitary candle, this sanctuary a flickering contrast of light and shadow. Our final verse of “Silent Night” hangs in the air as the pastor tells us to be still and do something so few of us these days do: embrace the silence and the presence of the One whose birth we celebrate this evening. I think on the short meditation the pastor has just spoken. He tells us of that night two thousand years ago when Mary and Joseph traveled under much different circumstances to a small town that had no room for them. The story is familiar, perhaps too much so, until he makes this point. The place where Mary and Joseph end up, where she delivers a most remarkable child into this world, is a place that seems to have room. Plenty of it. Room enough for the weary couple. Room for the animals likely unaccustomed to the company. Room for the shepherds who come to behold the child declared to them in the most wondrous of ways. And most of all, in that stable, room for the very Son of God. 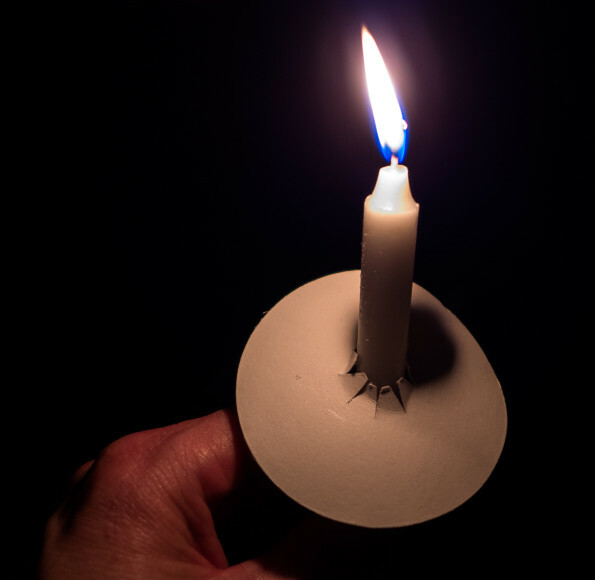 The pastor goes on to tell of a tradition in Ireland and other countries where on Christmas Eve, people leave a candle burning in their window. They declare with a single flame of light that Mary and Joseph would be welcome there, that there is room in their house for God. There is room for the One who grew from that tiny baby into a man who made room in his life for others. For the broken, the outcast, the lost and the hurting. People like you and me. And so, as I look at my own and the candles held by others around me on this Christmas Eve, I marvel at the light and silence and how all of us who have come here as distant strangers can feel so close in this half-light. I think of the words spoken as we passed our flame to the next waiting candle: “Jesus Christ. The Light of the World.” And I wonder. I wonder how long this moment will last. I wonder if in the coming New Year, I will go my usual ways and let the cares and stresses and yes, even the travel, cause me to forget what has been revealed this special evening. I wonder if there will be room in my life for what matters. And then I realize that I have a choice. I cannot always choose my circumstances, but I can choose how I react to them. I can’t control what comes my way, but I can decide to some degree how I will spend my time. Most of all, I can trust that the One who made room for others two millennia ago is doing the same thing for each of us today. Emmanuel – God with us – today.